Gluten-Free Spring Brunch Recipes! Gluten-Free Spring Brunch Recipes! Naturally Gluten-Free Spring Brunch Recipes! Hi everyone! 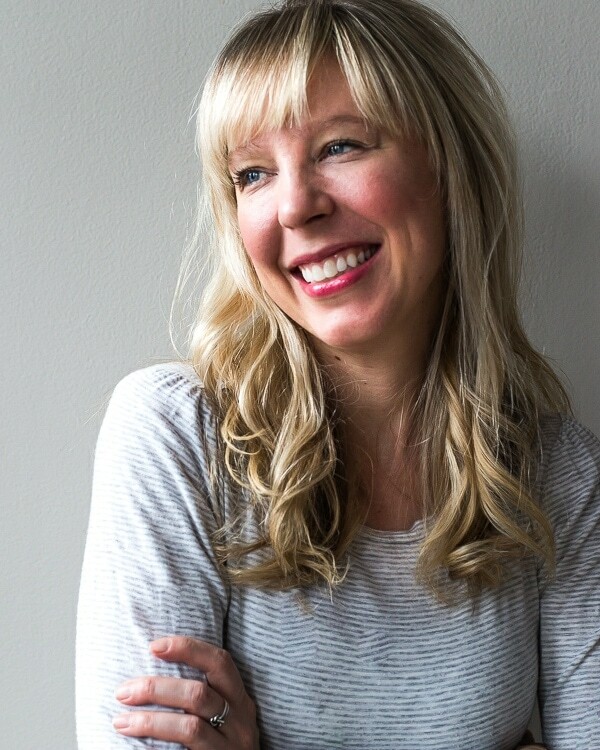 Here’s a little recap the Spring Brunch fun I had on Twin Cities Live today, talking about taking the stress and difficulty out of cooking for someone with a gluten allergy – no special ingredients needed. 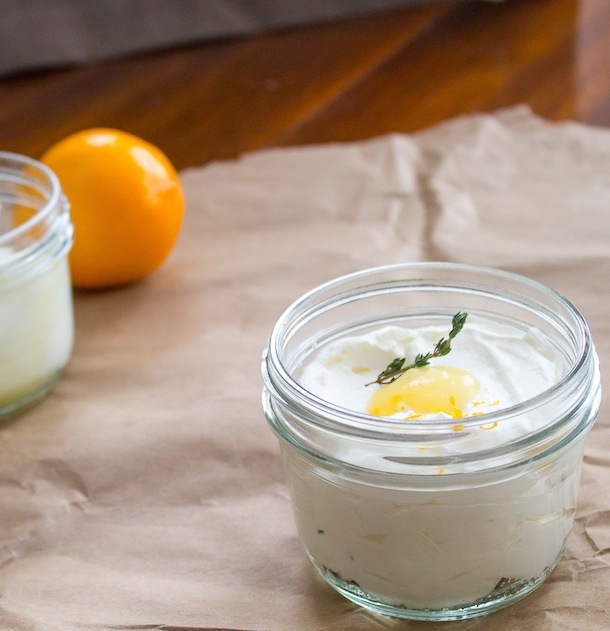 These are three naturally gluten-free spring brunch recipes, simple enough for anyone to make. And best of all, they showcase the seasonal eats! Frittatas are a great gluten-free brunch option, but there’s something about having a crust that I missed. I decided to try my hand at a naturally gluten-free polenta crust after drooling over this post by The Wednesday Chef. 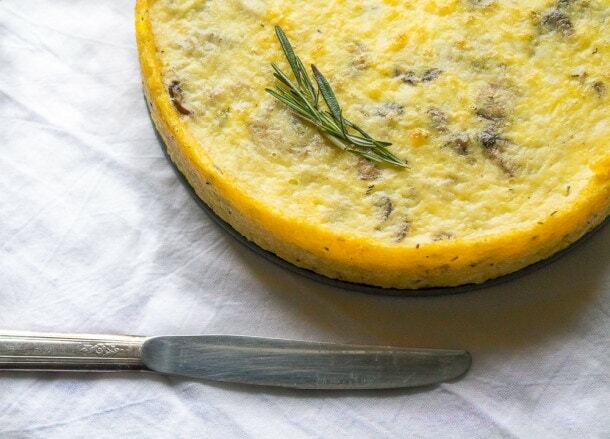 Made with polenta instead of a pastry crust, I tested it a few times with slightly different adaptations and decided on this version – leaving out the egg and adding gruyere cheese along with fresh rosemary. Then I filled it with caramelized mushrooms and shallots, ever so slightly browned and deep with flavor. Soft eggs, gooey cheese and springtime vegetables encased like a gorgeous savory pie – yes please. Begin by making the filling. Heat a large sauté pan over medium high heat and add butter. Let melt and swirl to coat bottom of the pan, then add shallots. 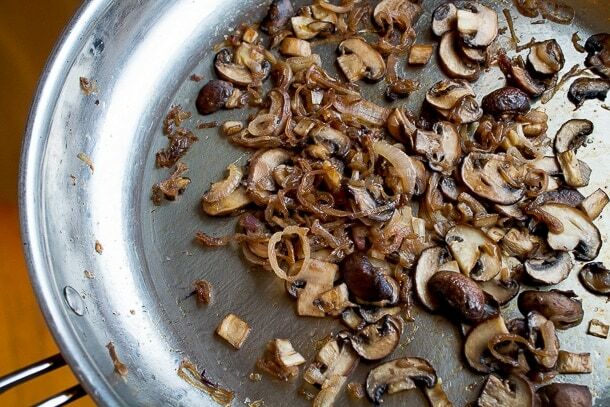 Cook for 2 minutes, then stir in mushrooms and ½ teaspoon salt. Let cook for 5 minutes over medium heat without stirring. You want the mushroom and shallots to get slightly browned. Stir, then cook for another 10 or so minutes until all liquid is evaporated and vegetables are caramelized. Stir in balsamic vinegar and pinch of black pepper, then taste and adjust seasoning as needed. Remove from heat and let cool. At this point, preheat oven to 350 degrees. To make crust, lightly spray a 9-inch springform pan (or cake pan) with nonstick spray. In a saucepan, bring water and salt to a boil, then whisk in cornmeal slowly. Turn heat down to a simmer, so the polenta is barely sputtering. Stir every couple of minutes and it will start to thicken. After about 15 minutes it should be quite thick and the liquid absorbed, almost pulling away from the sides of pot. 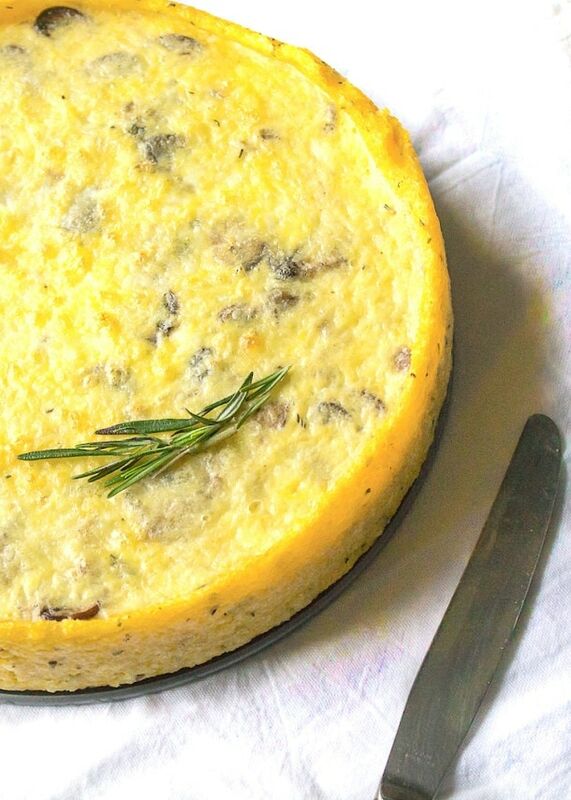 Turn off the heat and stir in cheese and rosemary, then taste for salt and pepper. Reserve ¾ cup polenta (will not need, can use for another meal), then pour the remaining into a lightly greased springform pan. Let polenta cool for 5 minutes, then cover it with a sheet of plastic wrap and slowly begin pressing the polenta out to the corners of the dish, continuing up the sides. You want the polenta to fill in the corners and to be evenly spread across the bottom and halfway up the side of the pan. Set aside. Whisk together the eggs, buttermilk, remaining ½ teaspoon salt and pepper in a separate bowl, then stir in cheese. Pour over mushrooms and shallots. Baked on middle rack until the mixture is completely set in the middle and lightly browned, about 35-40 minutes depending on your oven. Allow to rest for 10 or so minutes before cutting. Can be made a day in advance, then warmed at 300 degrees for 15 minutes before serving. I’m not really sure why desserts like this are called a “fool”, but essentially they’re just fresh whipped cream with a fruit puree of your choice folded in. I went semi-homemade with this version, using the Williams Sonoma Meyer Lemon Curd (to die for – not too sweet, a little tart & you can even see the flakes of lemon zest scattered throughout!) 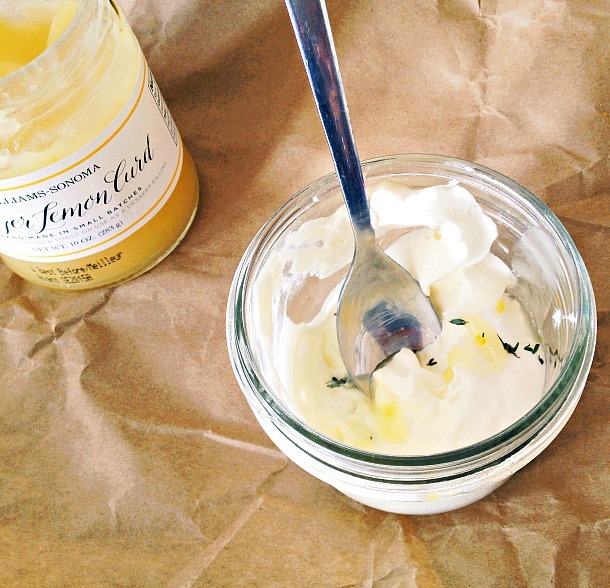 mixed with some limoncello, which helps make the curd a perfect consistency for swirling. Plus it isn’t a real brunch without a little booze, right? The addition of thyme adds a savory note, complimenting the brightness of the lemon. Light, creamy, and almost too pretty to eat. A simple, yet elegant dessert that will have you looking like the hostess with the mostess in no time. 30 minutes before making whipped cream, put a large bowl and beaters (or whisk) in the freezer to chill. Meanwhile, mix together curd and limoncello until smooth. Set aside. Pour cream into chilled bowl and beat until you have glossy, stiff peaks. 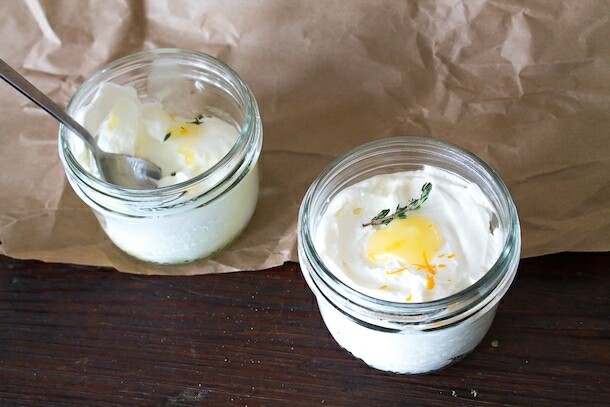 Stir in yogurt. 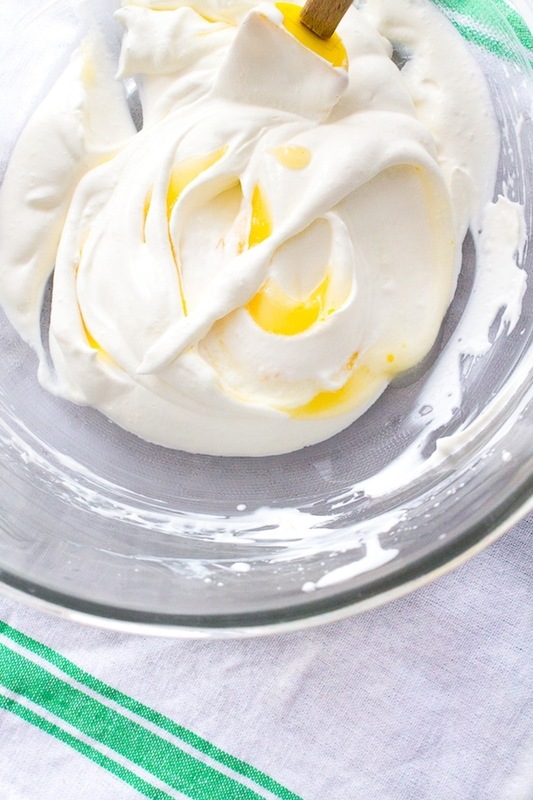 Add the lemon curd mixture to the middle of the whipped cream and very gently fold in, leaving some streaks and swirls. To serve, fill the glasses you will be using halfway up with the whipped cream mixture, then sprinkle in a teaspoon or so of minced thyme. Add another layer of the whipped cream mixture, then top with a dollop of lemon curd, sprinkle of fresh thyme and lemon zest. Cover and refrigerate until ready to serve. Can be made 5 hours ahead of time. And you can find the Black Rice Salad with Avocado and Spring Vegetables + pictures HERE! You’re such a natural on TV and I, as always, love your attitude towards eating and cooking gluten free. 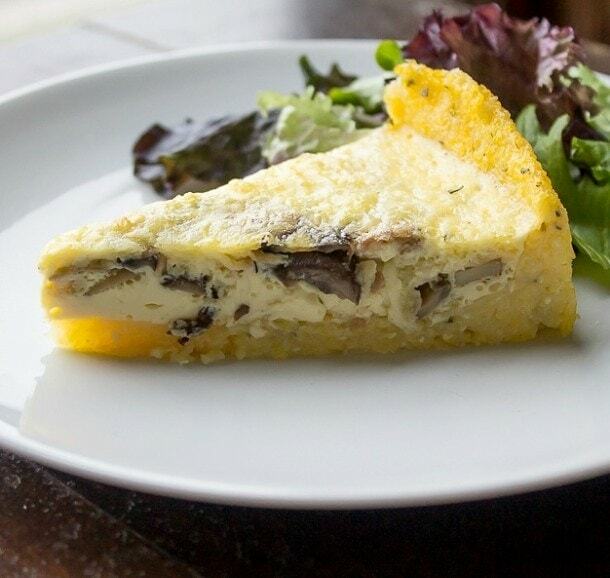 I really like the idea of that polenta-crusted quiche too; can’t wait to give that a go. what a lovely brunch menu! Amanda—you are charming on this segment and I can’t wait to try the quiche…love polenta, love shallots! Laurie, thank you so much! It was fun :) I hope you like the quiche. I can’t wait to try it with ramps. I finally got some at the market yesterday, yay Spring!